All of 22, the Parsons School of Design (New York) graduate has been shortlisted as one of the top 20 finalists for the WGSN + Arts Thread: Future Creator Award. 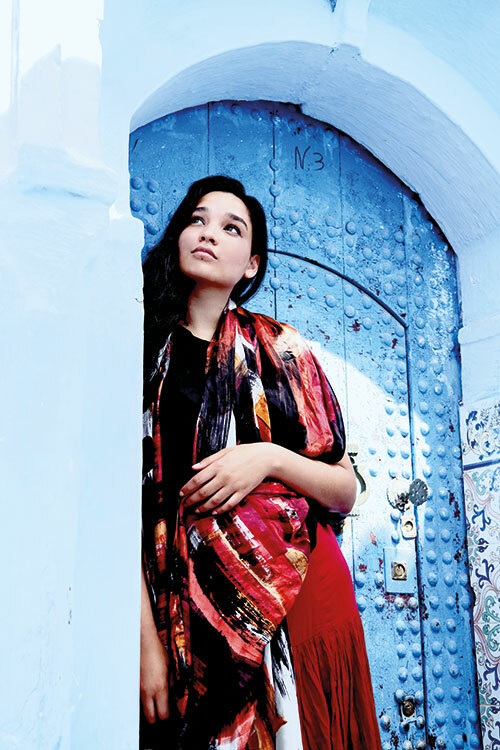 One of the five Gen Next Designers at Lakmé Fashion Week Spring/Summer 2018, Helena Bajaj Larsen, the daughter of Indian painter Sujata Bajaj and a Norwegian linguistics professor, grew up in Paris and knew from an early age that she wanted to work in the design field. In a fast-paced industry like this where it is tricky to remain relevant, Helena is here to stay. “I have much to learn and a really long way to go, but for now, the most fascinating thing is the fact that you are making this product which is entirely a result of your thoughts and ideas — and that it is something someone else wants to own… which is a priceless feeling. Every piece is like your baby and you send it out into the world, afraid of what response it’s going to get — and if it is appreciated, it fills you with joy,” she smiles.